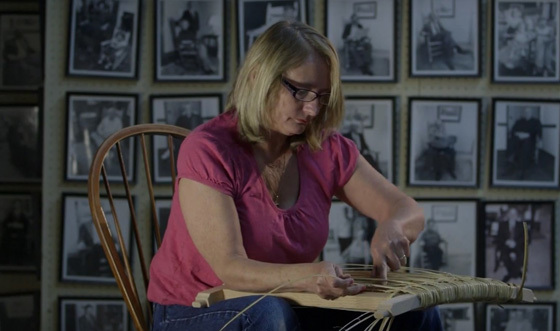 Our employees at The Brumby Chair Company are the heart and soul of our business and what makes our rocking chairs so special. 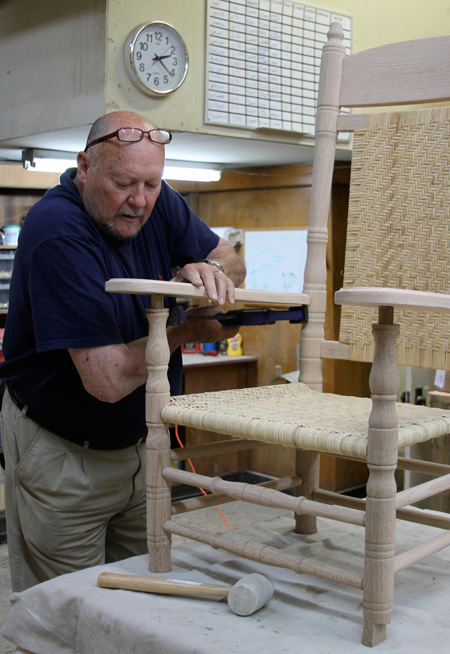 With an average of 20 years of experience, our artisans take great pride and care to hand make every Brumby rocking chair. Wanting to continue the standard of excellence that Brumby Rockers are known for, our staff ensures that every Brumby Rocker is crafted to perfection. Parts are turned out of Appalachian Red Oak and are hand-assembled in our factory on the historic Marietta Square in Marietta, Georgia. 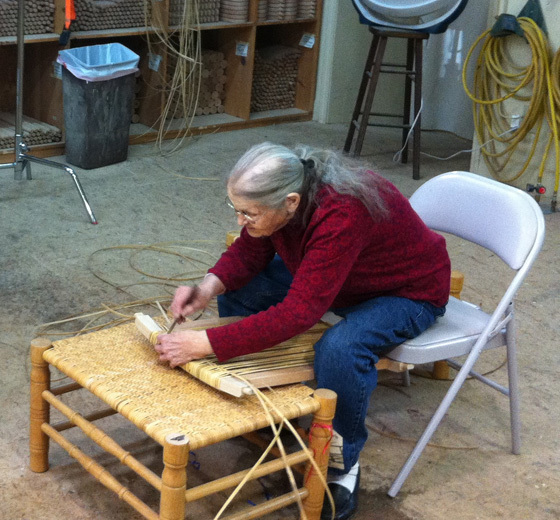 The caning process to produce the seat and backs of our products is also completed by local artisans with an intricate herringbone patter that can take up to 8-10 hours to complete one chair. All our rocking chairs are sanded multiple times after every coat to ensure a smooth and elegant polish. Every product is then hand inspected to ensure the highest industry standards are met and the most recognizable rocking chair on the market is ready for our customers.